GEAR: We help musicians find the best gear with top-ranking gear round-ups and high- quality, authoritative reviews by a wide team of highly experienced experts. TIPS: We also provide tuition, from bite-sized tips to advanced work-outs and guidance from recognised musicians and stars. STARS: We talk to musicians and stars about their creative processes, and the nuts and bolts of their gear and technique. We give fans an insight into the actual craft of music making that no other music website can. We'd love you to get in touch. To do so, hit up the relevant person below. MusicRadar is a member of the Independent Press Standards Organisation (which regulates the UK's magazine and newspaper industry). We abide by the Editors' Code of Practice and are committed to upholding the highest standards of journalism. 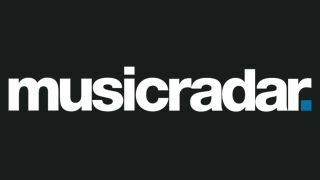 If you think that we have not met those standards and want to make a complaint please contact contact@musicradar.com. If we are unable to resolve your complaint, or if you would like more information about IPSO or the Editors' Code, contact IPSO on 0300 123 2220 or visit www.ipso.co.uk.